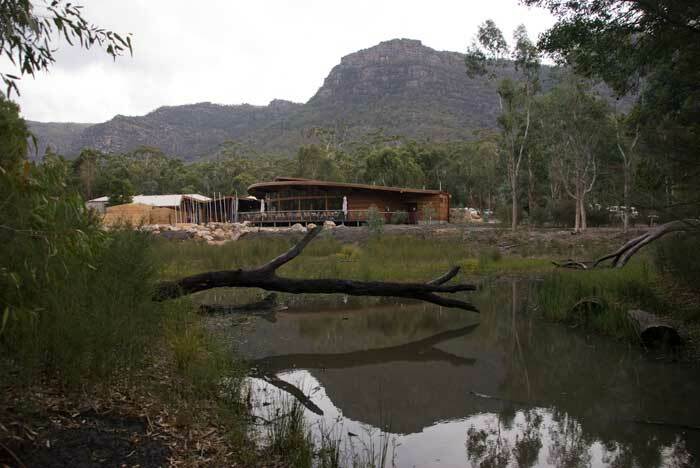 2006 – New Entry Building for the National Park and Cultural Centre – Halls Gap, Victoria, Australia. 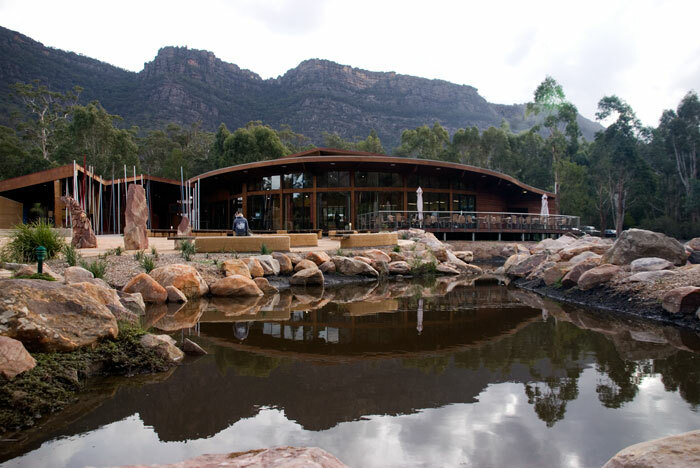 This was a project funded by DOTARS as a reconciliation project between the 5 Aboriginal communities based in the Brambuk Building ( within the National Park) and the organisation of Parks Victoria, managers of the National Park. 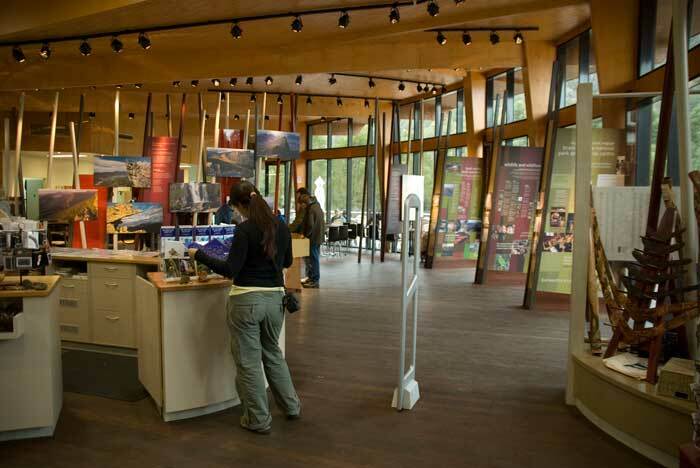 The National Park required a new entry building that would set the scene for the Park as a whole. 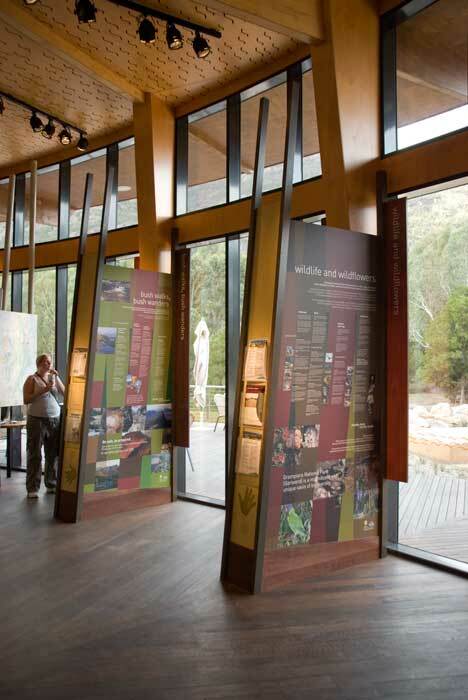 It needed to provide information for people ranging from how they pay fees to allow them to camp within the Park through to the very detailed information about the indigenous population of the Region. 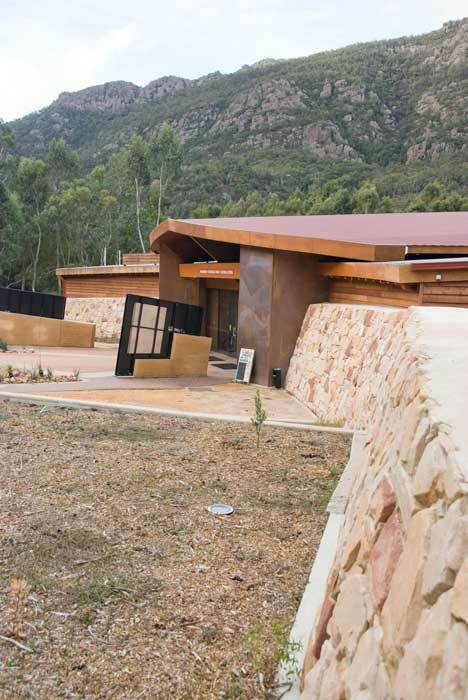 The building had to be designed to allow a total integration with the landscape and the opportunities for performances given by the indigenous communities. 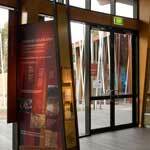 LookEar Pty Ltd, a group of extremely talented Interpretative Display Designers , developed visual and written graphics that allowed all of the stories to be told , inside and outside the building. 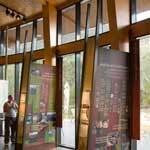 The facility is linked to meandering walkways that take visitors off through the Park. 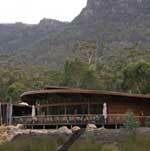 The story of the Eel is extremely important for the Indigenous Community of Halls Gap. Originally, within the Park, there was a system of ponds and rivulets that the aborigines would coax the eels down and through and eventually into an eel net. 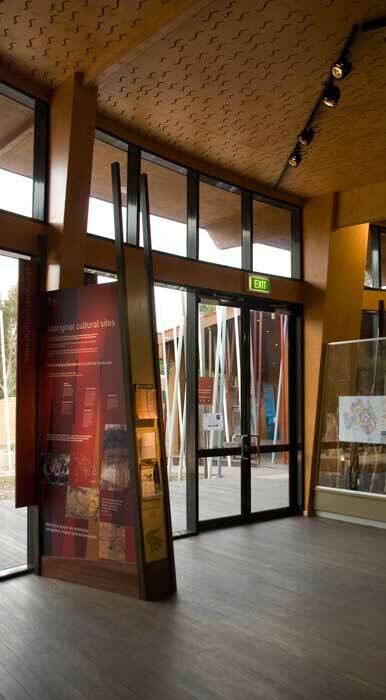 The floor plan of the building is based on the section through an eel net. 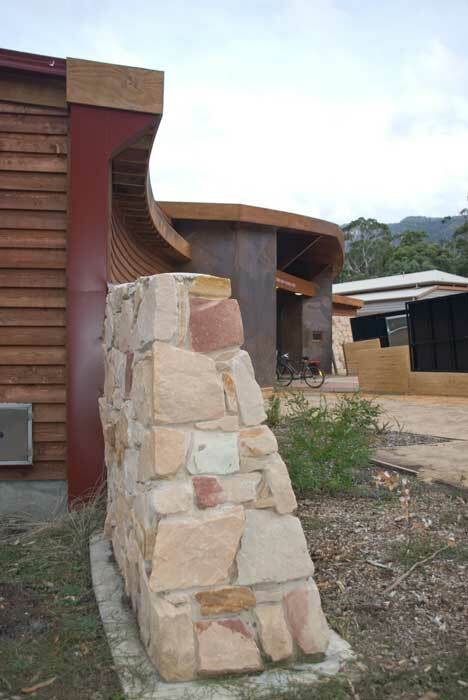 The curved stone walls simulates the curved flange of the eel net that guided the eels into the “basket”. 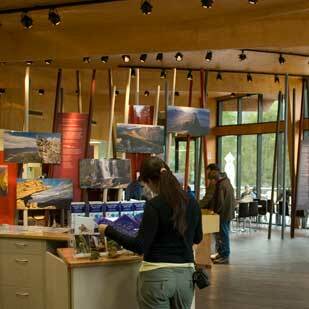 In our case we are guiding visitors into the information centre. The eels carved into the ceiling energises the journey of the eel down the hill to the Brambuk Building. 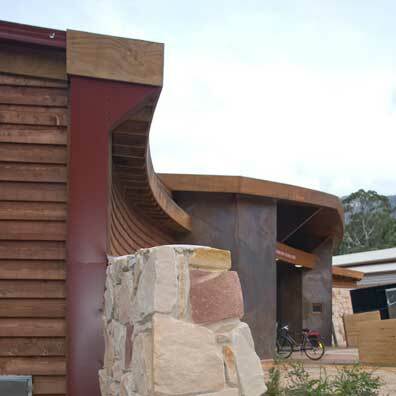 The building makes use of local stone and recycled timber from a shearing shed in Western Australia. 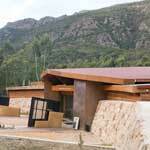 Untreated copper covers the 2 main columns either side of the front entry. The Eucalyptus oil in the air is giving the copper a natural patina. 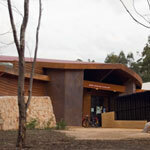 The double roof acts to keep the building very cool and also symbols the reconciliation between the 2 main organisations – Brambuk Aboriginal Community and Parks Victoria.